MES has been open for one week so far, and we have full classes, and most of our students are teenagers. Some of them are from town, but many of them come from rural villages which are quite far from town. 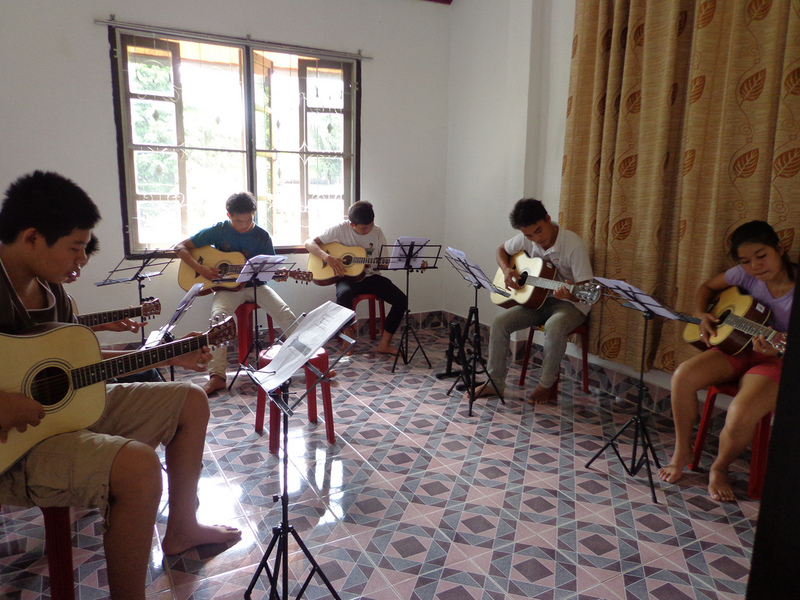 However, all of the students were doing quite well on their first lesson and everybody seems to be really eager to learn and happy with their work. Even though, there are many people who are on the pending list and waiting to have the chance to learn, because the classes at MES are too full to put them in. 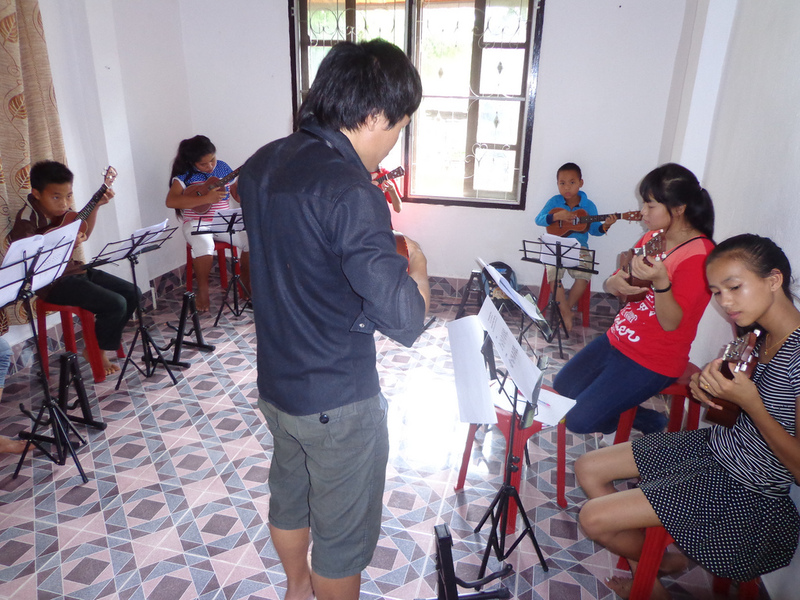 By the way, we have more than 1oo students come to MES to learn and practice every day and some hours the instruments are not enough for the numbers of the students. 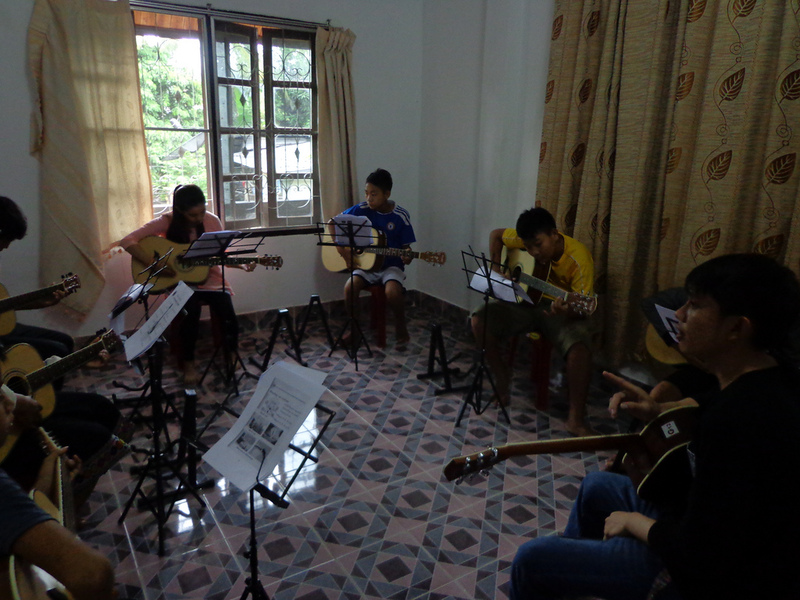 Wish MES students have more instruments in the future.